After the confirmation that a mid-engined Aston Martin hypercar is in the works, we finally have a name for its production version. The car is currently known for its codename “003” but new reports and documents reveal that it will be called the “Valhalla” when it rolls out in the market. According to Australia’s Drive, The Valhalla is a follow up to the Valkyrie (codenamed “001”) and Valkyrie AMR Pro (codenamed “002”). Therefore, it will inherit many features from its older siblings. Among them are the hybrid electric propulsion system and carbon-fiber-intensive architecture. The name Valhalla just makes sense because of its association with the Valkyries in Norse mythology. For those who are unfamiliar with the story, the Valkyries are tasked with escorting fallen warriors in the afterlife who are on their way to Valhalla. A trademark application made by Aston Martin with the World Intellectual Property Organization also made references to the Valhalla. The document filed on October 12, 2018, associated the trademarked name to the 003. Although information about the Valhalla is quite scarce as of the moment, the source claimed the hypercar will be limited to 500 units only. The deliveries of the vehicles will start in late 2021. The Valhalla will unlikely get a naturally-aspirated V12 engine. 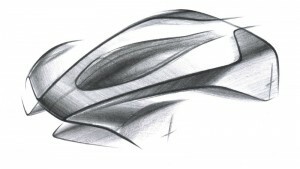 Instead, the Aston Martin hypercar will get its power from a turbocharged V6. The combustion unit is expected to be paired with an electric system to deliver a mild-hybrid powertrain. The mild-hybrid setup means the electric motor will only serve as a boost to the acceleration of the car.